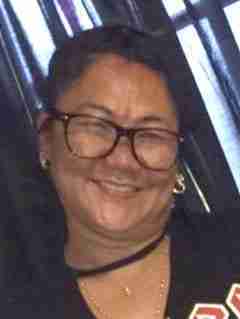 Analyn Ocampo, 45, of Forest City, Iowa, passed away Sunday, July 22, 2018 at Mercy Medical Center North Iowa in Mason City, Iowa. A funeral Mass for Analyn will be held at 11:00 a.m. Tuesday, July 31, 2018 at Immaculate Conception Catholic Church in Charles City with Reverend Gary Mayer celebrating the Mass. A private family inurnment will take place at a later date. A visitation will be held at Immaculate Conception Catholic Church from 9:00 to 11:00 a.m. Tuesday, July 31, 2018. Analyn David (Patpat) Ocampo was born November 8, 1972 to Pepito David and Maria Patpat in the Philippines. She married Randy Ocampo while living in the Philippines. She moved to the United States of America in 2003 where she first started working at All State Quality Food in Charles City. She was a very hard worker and moved around for different jobs. She most recently was working at Michael Foods in Britt, Iowa. Analyn loved to cook, watch TV, shop, dance, and play billiards. She most enjoyed spending time with her family. Analyn is survived by her husband, Randy; four children: Reden, Roseann, Robinson, and Rochelle; parents, Pepito David and Maria Patpat; four brothers: Joseph (Misty) David, Benji (Arlyn) David, Michael (Aiza) David, and Regie (Tori) David; sister, Regina David (Edgar) Marimla; cousins: Edmer (Charmaine) Fuentes, Jarielyn Pagcu, and Edison Pagcu; and uncle, Rodolfo (Adoracion) Pagcu. She was preceded in death by her grandparents: Nilda (Harold) Ver Meer and Clarita Fuentes.